Dell PowerEdge R410 File Server Basic, ideal for small office application file storage with capacities of up to 32TB, Dual Intel Xeon processors with speeds of up to 3.4GHz, and memory up to 128GB for even some of the most performance intensive application storage requirements! 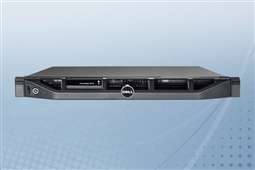 Dell PowerEdge R510 File Server Advanced, perfect for massive big data storage requirements such as video surveillance systems, rich media storage, and databases. This powerful file server has storage capacity of up to 96TB to meet even the most robust requirements! Dell PowerEdge R720XD File Server Superior, the top tier file server solution customized to meet the storage needs for even the most mission critical workloads! With up to 96TB of capacity the PowerEdge R720XD makes an ideal file server to meet any IT Professional's requirements! 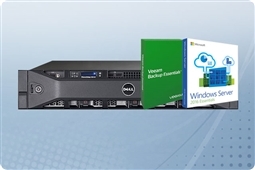 Dell PowerEdge R510 Server for Virtual Backup, the best in affordable backup target servers for all of your virtual machines this backup server bundle comes with the Dell R510 server, Microsoft Windows 2016, and Veeam making it a completely plug and play backup server! 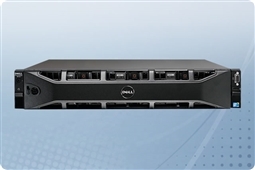 Dell PowerEdge R730XD Server for Virtual Backup, with capacities of up to 144TB this plug and play backup server combines the best in high capacity data storage with powerful 13th generation Dell server technologies making it an ideal virtual backup target for production servers and database applications! 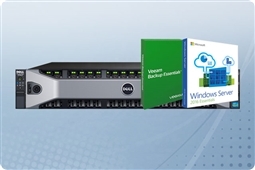 Plus this bundle comes with Veeam and Windows Server 2016 for successful backup of your VMs! 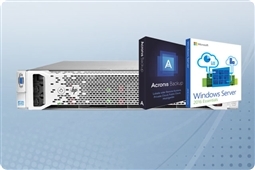 HP ProLiant DL380p Gen8 Server for Physical Backup, bundles high capacity HP server storage with your Windows Server OS and the power of Acronis 12.5 Backup for the ultimate physical backup target for all of your on premise host servers! HP ProLiant DL380 G7 Server for Physical Backup, combines the best in affordable HP ProLiant server hardware with the Windows Server OS and Acronis Backup Standard for an affordable plug and play backup server ideal for SMBs with tight budgets! Synology DiskStation DS1817 NAS Server Backup, the ideal all in one backup target with Synology Hyper Backup and Snapshots built into the Synology DSM onboard NAS Server operating system! This affordable NAS backup server saves your business time and costs associated with additional software for the best plug and play backup solution available! 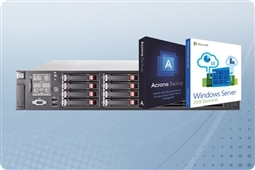 Aventis Systems is proud to offer all of our customized, plug and play file and backup server solutions with a 3 Year Standard Comprehensive Warranty and upgrades available to Express and Extended Warranties as well as Onsite Support. Need to get your perfect backup server or file server fast? Add our Rush Build and expedited shipping to ensure you get your plug and play server when you need it! So shop below and find the perfect File or Backup Server customized to meet your business requirements, saving time and money today! 8TB (4 x 2TB) 7.2K 6Gb/s SATA 3.5"
24TB (12 x 2TB) 7.2K 6Gb/s SATA 3.5"
72TB (12 x 6TB) 7.2K 6Gb/s SATA 3.5"